Oh and ps . . . I'm eating crackers and drinking water for a month! 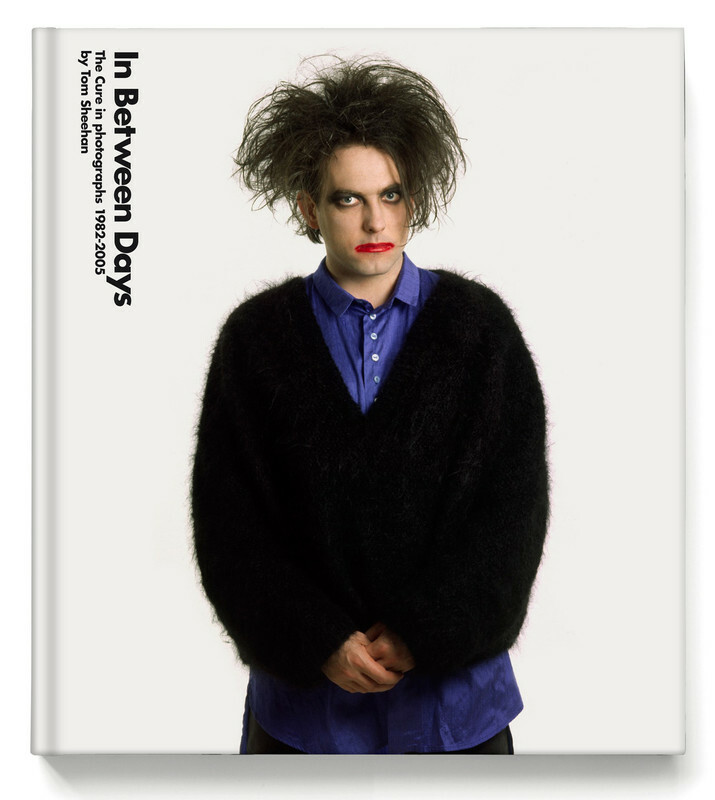 The Flood Gallery, in collaboration with celebrated music photographer Tom Shehaan, have just released a photographic book charting over 3 decades of The Cure history: "In Between Days. The Cure in photographs 1982 - 2005" available to pre-order now! Featuring many previously unseen images, “In Between Days” is divided into three parts focusing on specific phases of their history. Part 1 (1982-84) traces their early travels at home and abroad, also including portraits of Smith’s parallel career in Siouxsie & The Banshees and the side-project The Glove. Part 2 (1985-89) highlights their imperial period through a trio of classic albums The Head On The Door, Kiss Me, Kiss Me and Disintegration, including rare behind the scenes images from the celebrate The Cure in Orange concert film. Finally, Part 3 (1990-2005) collects Sheehan’s latter portraits of Smith and the group as they cement their status as one of the biggest alternative bands in the world, still touring today. “In Between Days. The Cure in photographs 1982 – 2005” is a beautiful, strictly limited, Deluxe and Super Deluxe book with 240 pages charting over 20 years in the career of Robert Smith’s legendary group. The Super Deluxe will be a limited edition of 700 with pearlescent hard slip-case which includes 3 unique photos from Tom’s archives with a bound-in certificate of authenticity signed and numbered by Tom Sheehan himself. RRP £70. The Deluxe limited edition of 2500 features the 240 pages hardback book, complete with hardcover slipcase. RRP £48. There's going to be a launch/signing event at The Flood Gallery in Greenwich Market (London) in November 2016 (exact date TBA). **cover & slipcase images are provisional images at the moment, official images coming soon! Your post has been moved to the thread started yesterday. 36 GBP shipping to Greece ??! Then I'll have 112 books. I just tried to order the £70 Super Deluxe Edition, but I can't buy it. They don't ship it to Brazil. You can use my address, I'll post to Brazil. I will place a (pre)-order as soon as i will get paid in August. Join the Flood Gallery mailing list and get 10% off your first order. That's the UK postage covered ... .. .
Nope,it doesn't count for pre-order items. I 've already e-mailed and asked them. bought now, I'm looking forward to. Gah, I clicked buy quickly, like ripping off a bandaid, before the cost could dissuade me. I'm sure I'll be thrilled in November though. I know I am living in the Dark Ages, but I have always shunned PayPal. And it looks like that is the only form of payment this outfit takes. Geez. *I woke up at 2 in the morning thinking the Flood site was a scam, and freaking out because I had entered my cc info. Had to get up to research the book, the gallery, my bank. Double geez. Until recently I also shunned PayPal - now they've parted company with eBay I signed up again. Transactions are guaranteed so it should be safe to use. Why were you asleep at 2am? That's lunch time!! Form : thefloodgallery THE CURE - NEW RELEASE SCREEN PRINT - PRE-ORDER NOW! To coincide with the launch & signing event for our latest deluxe photography book IN BETWEEN DAYS-THE CURE IN PHOTOGRAPHS 1982-2005 by @tomsheehan , we're excited to announce the release of a limited-edition print, IMAGINARY BOY created by the designer of the book, Carl Glover. Available as a main edition with 3 variants, this three-colour 18x24" screen print features a re-working of one of Tom Sheehan’s most iconic Robert Smith portraits, originally taken during a back stage session with the band in Brussels, November 1987. Signed and numbered by both Carl and Tom, they're available to pre-order NOW and will be officially released on November 30th. They'll also be on display and available to purchase at the book launch event at The Cannick Tapps, London, EC4N 5AD from 7pm, November 30th. It's free to attend and all are welcome. Remember, the book is released on November 28th! Strictly limited Deluxe and Super Deluxe editions also available to pre-order NOW!